A Negotiated Peace for Afghanistan? 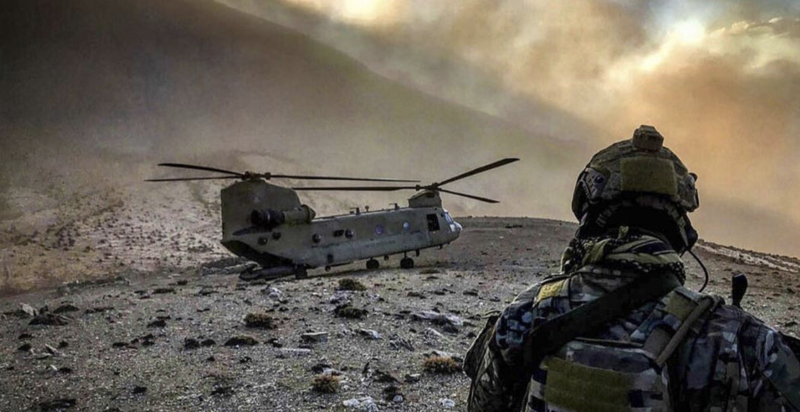 With plans afoot for the United States to withdraw from Afghanistan, negotiations between Washington and the Taliban could shape the future of the war-stricken state. But with Afghan President Ghani’s government excluded from the talks, and so little known about the Taliban and its motives, any negotiation process is likely to be a fraught one. 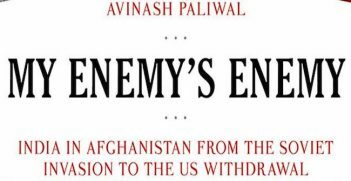 In October 1996, only ten days after the fall of the Afghan capital Kabul to the extremist Taliban movement, an article appeared in The Washington Post entitled “Afghanistan: Time to Reengage.” The writer, an Afghanistan-born senior strategist at the RAND Corporation, argued that “once order is established, concerns such as good government, economic reconstruction and education will rise to the fore … The Taliban does not practice the anti-US style of fundamentalism practiced by Iran … The departure of … Osama bin Laden, the Saudi financier of various anti-US terrorist groups, from Afghanistan indicates some common interest between the United States and the Taliban.” The author of the article was Zalmay Khalilzad. A lot has changed in Afghanistan since then. The Taliban regime proved uninterested in good government, economic reconstruction and education, adopted policies towards women that made it an international pariah, and provided hospitality to Osama bin Laden that proved fatal to it after the September 11, 2001 terrorist attacks carried out in the United States by bin Laden’s al-Qaeda network. But Khalilzad has again been in the news where Afghanistan is concerned. Having served from November 2003 to June 2005 as President George W Bush’s Ambassador to Afghanistan, in September 2018 he was appointed by the Trump Administration as US Special Representative for Afghanistan Reconciliation. And in late January 2019, after holding meetings in Qatar with Taliban members, he gave an interview to The New York Times in which he stated that there had been an agreement on a “framework” on two issues, namely that the Taliban would prevent the use of Afghan territory for the mounting of attacks on the US, and the US would agree to withdraw its forces from Afghanistan. As reports of the “framework” seeped out, some initial responses were positive. Pakistan’s Foreign Minister Shah Mehmood Qureshi reportedly described the talks as a “major diplomatic victory.” But as the dust began to settle, more sober analyses began to appear. Given the role of Pakistan’s Inter-Services Intelligence Directorate (ISI) in supporting the Taliban from their Pakistan-based sanctuaries, Qureshi’s enthusiasm set some alarm bells ringing. The Afghan government, and President Ashraf Ghani, were plainly furious that they had been excluded from the discussions. And a distinguished former US Ambassador to Afghanistan, Ryan Crocker, went so far as to characterise the deal as a surrender, noting parallels with the 1973 Paris Accords on Vietnam. It, therefore, pays to identify some of the factors shaping the prospects for a positive outcome. The picture, unfortunately, is dispiriting. First, what do we know about the Taliban leaders and their specific motivations? The answer is probably a lot less than we think. In 2010, a shopkeeper from Quetta succeeded in passing himself off as the deputy leader of the Taliban. In December 2014, a well-known western writer on the Taliban published a report stating that the Taliban founder Mullah Omar “remains the Taliban supreme leader and the source of all authority in the movement;” it was later revealed that Mullah Omar had been dead since April 2013. In such an environment of uncertainty, it is easy to engage in oversimplified thinking. For example, in July 2017 a former US official sought to define Afghanistan’s problem as “vested interests on all sides in continuing the war.” But to view the Taliban merely through the prism of interest calculations is to ignore one feature of the Taliban that is very well established: that they have historically been driven not just by interests, but by values, and moreover values which are in no sense pluralistic, but embedded in a highly-idiosyncratic but deeply-rooted conception of the requirements of Islam. Were the Taliban to regain significant law-making or coercive power, these values could well come to dominate their approach to exercising it. Second, it is a mistake to believe that the Taliban enjoy high levels of generalised normative support – or legitimacy – within Afghanistan. On the contrary, a 2018 survey conducted by the Asia Foundation found that 82.4 percent of respondents had no sympathy for the Taliban. They are regarded with special apprehension by Afghan women, who fear that the gains they have made since 2001 could be lost under the Taliban, or traded away as part of a negotiation process. Just as apprehensive are members of the Hazara Shiite minority, who have been brutally attacked by Taliban forces, most recently in November 2018. (Some Afghans believe that a US push to engage with the Taliban actually incentivises attacks of this kind.) It is the depth of popular aversion to the Taliban that explains why many Afghans fear that a “peace agreement” could actually trigger a renewed civil war in the country. The United States clearly hopes that the Taliban will agree to a ceasefire, averting this danger. It is not beyond the bounds of possibility, but a ceasefire is not the same as a durable peace. The Taliban shied away from renewing a ceasefire in 2018 when a first ceasefire, at the time of the Eid al-Fitr religious celebrations in June 2018, saw ordinary Taliban fraternising with villagers in a way that clearly alarmed the Taliban leadership, who doubtless feared a cascade of defections if discipline broke down. Third, much depends upon whether the approach of Pakistan, as the Taliban’s principal backer, is driven by good faith. One would like to think so, but on 25 January a well-connected US observer tweeted that “the Trump Administration got Saudi Arabia and UAE to give Pak $12 bn to bring TB to the table.” The obvious question to which this payment gives rise is the following: if it took such a vast sum to secure Pakistani cooperation up to this point, will Pakistan, and specifically its military, continue to cooperate when massive lubricants of this kind are no longer available? In this part of the world, good faith and cooperation are more easily hired than bought. Thus, some Afghans fear that the moment the US departs, the Taliban, with ISI backing, could seek to take over the Afghan capital and exclude other political and social groups from power or influence. “Rabbit out of a hat” approaches to peace negotiations rarely work. 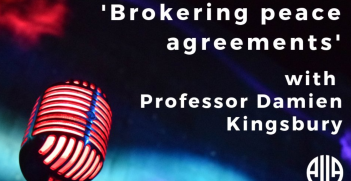 Participants in negotiations can shift their positions unexpectedly, and the mere spectacle of negotiations or prospect of political change can prompt seismic political realignments that negate the assumptions on which negotiations are premised. In a speech in Kabul on 30 January, President Ghani presciently warned that “Our goal is sustainable peace, but the bitter reality is that international experiences have shown that 50 percent of peace agreements have resulted in worse wars.” This echoes the ancient warning of the Athenians to the Melians, recorded by Thucydides, that hope is by its nature an expensive commodity. After forty years of conflict, Afghans deserve their hopes, and it is not for foreigners to dash them. But if things go wrong in a reckless, high-speed quest for a negotiated peace in Afghanistan, it is ordinary Afghans, not American negotiators, who will pay the price. William Maley AM is professor of diplomacy at the Asia-Pacific College of Diplomacy, The Australian National University, where he served as foundation director from 1 July 2003 to 31 December 2014. He is vice-president of the Refugee Council of Australia, a barrister of the High Court of Australia and a member of the Australian Committee of the Council for Security Cooperation in the Asia Pacific. If the crisis in Venezuela escalates to an armed stand-off between forces loyal to President Maduro and opposition factions loyal to Guaidó, a rare case of foreign intervention in South America may be likely.